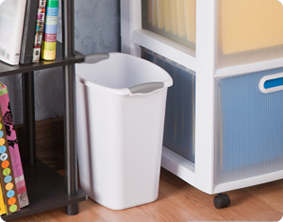 The 3 Gallon Wastebasket features a clean and simple design that coordinates with any home or office décor. The slim, rectangular shape makes this item ideal for use in the bathroom, bedroom, office, craft room, kitchen or under the sink where narrow spaces require a space-efficient solution. Color-accented inserts and integrated handles allow for easy handling and transporting. 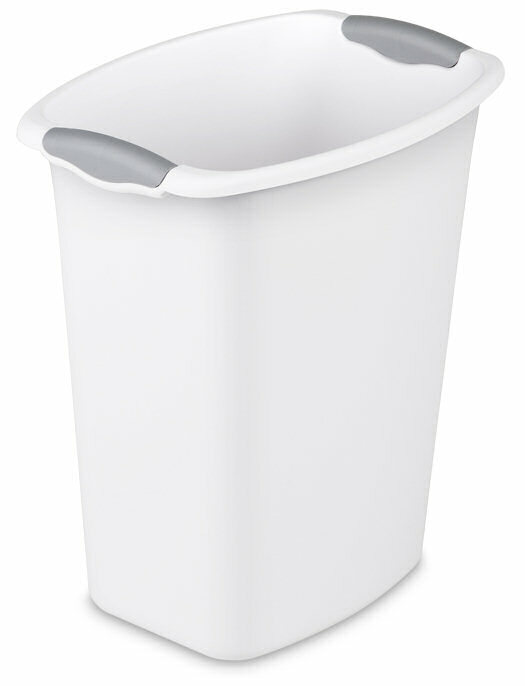 This wastebasket offers an easy-to-clean textured surface with a modern design that holds a 3 gallon capacity. This wastebasket also fits neatly under a desk or office to conceal any trash or debris and accommodates a standard plastic shopping bag. The overall dimensions of this item are 11 7/8" L x 8 1/2" W x 13 1/4" H.
Overall Assembled Size: 11 7/8" x 8 1/2" x 13 1/4"
Ideal for use in the bathroom, bedroom, office, or under the sink. 3 Gallon Wastebasket is rated 5.0 out of 5 by 2. Rated 5 out of 5 by Linseym from Exceeded expectations. 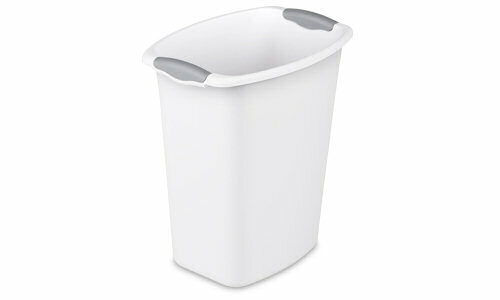 This wastebasket is the perfect size for bedroom or bathroom. Love the look and these can take a beating. My toddlers have abused it and it survived without any cracking or breaks. Fits perfect under bathroom sink or small spaces. Grocery bags fit well inside it. Rated 5 out of 5 by MissKim from Great in any room! I use these around my classroom to minimize the mess that students can leave behind them. They are a great option because they are durable and lasting.